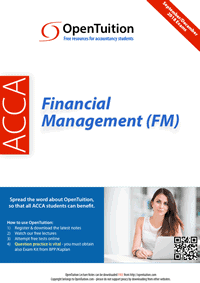 OpenTuition provides the study resources you need to enable you to pass Paper F9 – all free of charge. 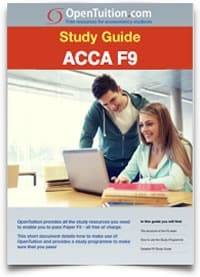 To begin your studies, download our free Study Guide for ACCA Paper F9 and find out how to make use of OpenTuition to make sure that you pass! 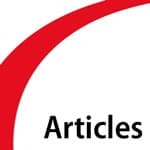 OpenTuition lecture notes are used regularly by thousand of students and many colleges worldwide. To fully benefit from these notes you should watch our free F9 lectures. Our free lectures are a complete course for Paper F9 and cover everything needed to be able to pass the exam well. To fully benefit from our free F9 lectures you must also use our free lecture notes while watching the lectures. 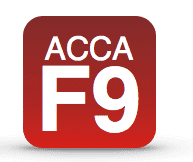 Practice key terms and concepts using our F9 flashcards! 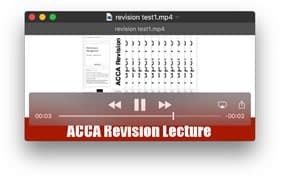 Check how well prepared you are for the F9 Exam, and take our interactive, computer based Revision F9 Exam. 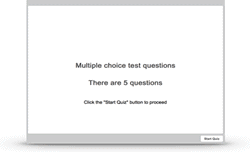 The questions are taken at random from a large bank of questions, so every time you attempt the exam you are likely to get different questions. 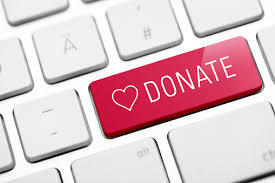 To benefit the most from this Mock exam, please turn off all distractions and sit it under real exam conditions. 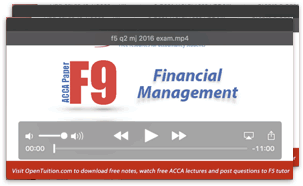 If you have watched our lectures and are still struggling with some concepts, you can post your questions to ACCA F9 Tutor on our Forums.